Little Rock, Ark. (December 19, 2018) – The Spring River Innovation Hub is pleased to announce that the Ozark Foothills region of Sharp, Fulton and Izard Counties has been selected for a multi-state pilot program designed to build up rural economies. The Create Bridges grant, submitted by the Spring River Innovation Hub in an effort to support regional collaboration, will be conducted through University of Arkansas System Division of Agriculture Community and Economic Development. The local area is one of two multicounty regions in the state selected for participation in the technical assistance grant. CREATE BRIDGES was recently launched in Oklahoma, Kentucky and Arkansas with the help of a $2.7 million grant from Walmart to the Southern Rural Development Center. The local area was chosen for its clear desire to grow the tourism and retail industries as well as a demonstrated commitment to Create Bridges businesses. While the tri-county area is well-known for its annual Cave City Watermelon Festival, the region is currently in the planning process for additional multi-city tourism events and festivals in 2019. The area also boasts a strong tourism economy around its natural resources including lakes and rivers like Spring River. Ozarka College’s culinary program and the newly opened Spring River Innovation Hub are key resources for the region. This steering committee is comprised of a diverse group of stakeholders, ranging from city mayors to local business owners. McCullough and Julianne Dunn, Instructor-Economic Development, will work with state partners to facilitate a retail academy for regional leaders and a business retention and expansion program. They also will coordinate with regional workforce investment boards to identify opportunities for workforce training focused on incumbent and new workers. The program also will look at workforce solutions to retain workers and promote from within. Create Bridges is being developed by a team of experts including McCullough, Dunn, University of Kentucky’s Alison Davis, Oklahoma State University’s Dave Shideler and Sara Siems, and the Southern Rural Development Center’s Rachel Welborn and Grace Langford. Create Bridges builds upon Stronger Economies Together (SET), a collaborative effort across 32 states led by the Southern Rural Development Center that helps rural counties work together to develop and implement an economic development plan for their multicounty region. For more information about Create Bridges, visit https://uaex.edu/createbridges and contact Julianne Dunn at 501-671-2158 or jbdunn@uaex.edu. You may also contact Spring River Innovation Hub Director Graycen Bigger at 870-335-7409 or director@innovatespringriver.org. 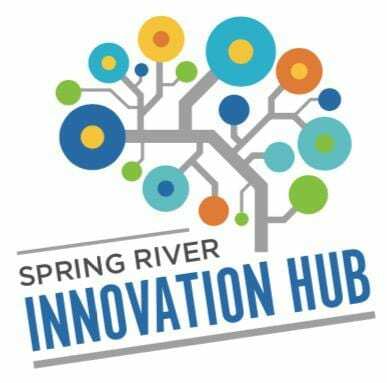 The mission of the Spring River Innovation Hub is to provide a creative culture of innovation and entrepreneurship through an inclusive, collaborative network of diverse resources and opportunities that fosters sustainable small business and regional economic growth.